Order a kitchen table top from Kærbygård and your kitchen will get an exclusive and unique expression. At Kærbygård it is possible to have a kitchen countertop made at your request for the variety of wood, expression etc. 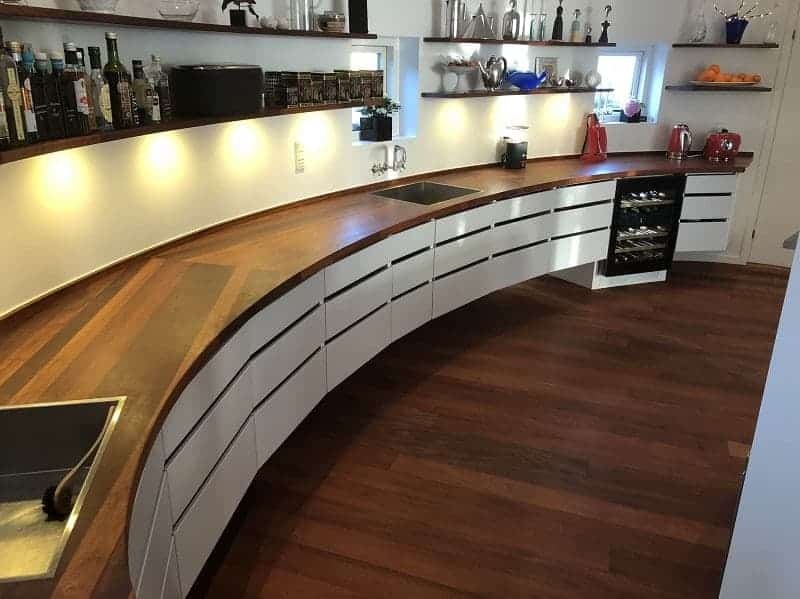 We make your new kitchen worktop of wood of the variety you want, so if you have too many knots in the wood it's also an option, just like clean countertops also can be made. As we manufacture everything from the bottom of our own carpentry, we can meet most wishes and are not bound by any standards. We manufacture high-quality wooden table tops from Danish wood, but if you want a foreign wood variety, fx. American walnut, it can also be done. Kærbygård kitchen countertops differ from those found in the kitchen stores as we select the wood and make the table top from the bottom each time. It allows you to choose the width of spellings, sorting of wood, etc. The table top itself is a large area in your kitchen and is therefore crucial for the expression of your kitchen. You are very welcome to visit the carpentry at Kærbygård. 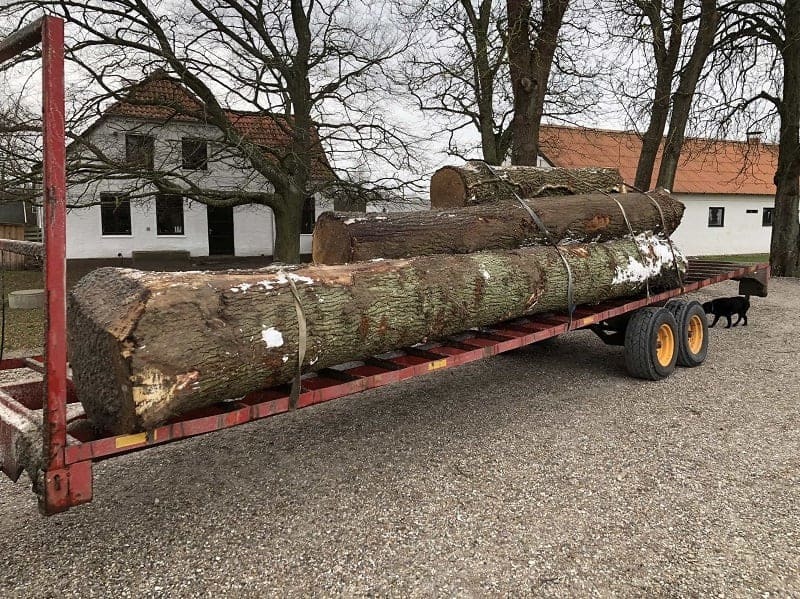 Here you can get an impression of the process from tree to a table top and you can see a large selection in our showroom so you are sure to make the right choice. Use or price calculator, til find your estimated price on your wooden kitchen countertop! We are competitive on the price because we do not have expensive intermediaries. We even have forests, sawmills, carpentry, and showrooms. Contact us if you have any wishes or visit one of our showrooms to see the quality. 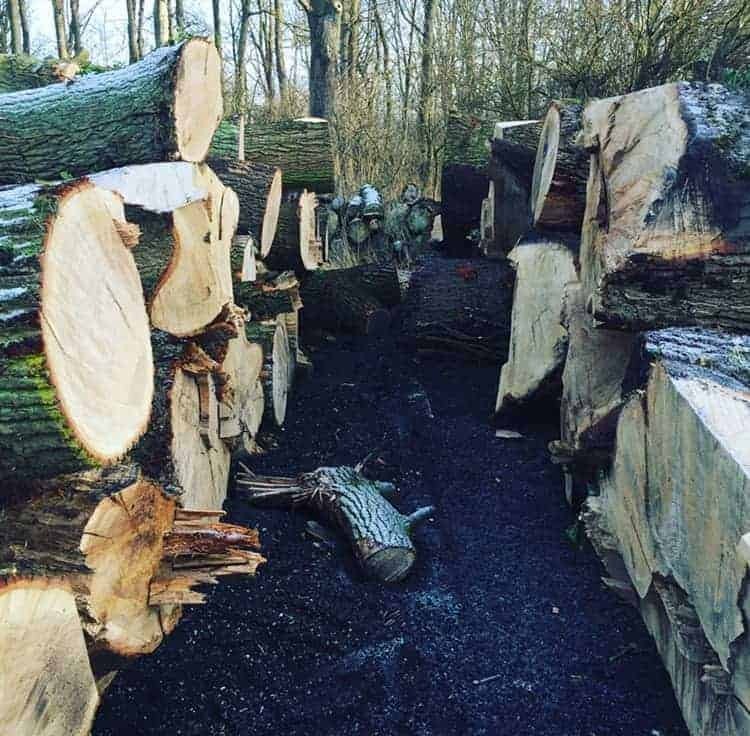 We always have a wide range of different types of wood in stock, and if we do not have the wood variety you wish we would like to import it. We would like to come out and measure and assemble if you wish. The price depends on where in the country you live in. We also work together with various kitchen companies to ensure that you get what you want.